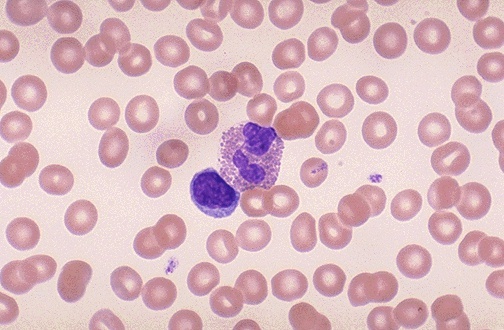 In the center of the field is an eosinophil with a bilobed nucleus and numerous bright red cytoplasmic granules. Just underneath it is a small lymphocyte. Eosinophils can increase in number with allergic reactions and with parasitic infestations.